I have not visited this place but would love to! If you have, I would love to hear about your experience and what you thought about it. Anyway, enjoy this weeks post and HALLOWWWWEEEEENNNN is coming!!!! Be sure to follow all month long in October (my favorite time of year, but you guys already knew that! lol) when I will be posting all month long about the MOST HAUNTED locations.........the most evil and scarcest places I know! And there will be an opportunity for you to enter a contest for a really "spooky" prize and tell your MOST HORRIFYING MOMENTS in the dark.....or heck.....it might have even been in the day.........and lots of EXTRA'S!!!!!! LOTS AND LOTS OF EXTRA'S!!!!!!!! This month is going to be packed with Halloween moments you can share!!! And don't forget, you will have the chance to call in on ClearSourceRadio.com on Tuesday nights at 7pm CT and chat with me. :))) That's a really BIG SMILE just in case you didn't know. I can't wait to talk live with you guys. Oh and a couple more updates then I will let you get to the story (sorry I just have a lot to say today!!!) Be sure to check the "A word from me" section at the top of the page because I am always sticking little things in there. 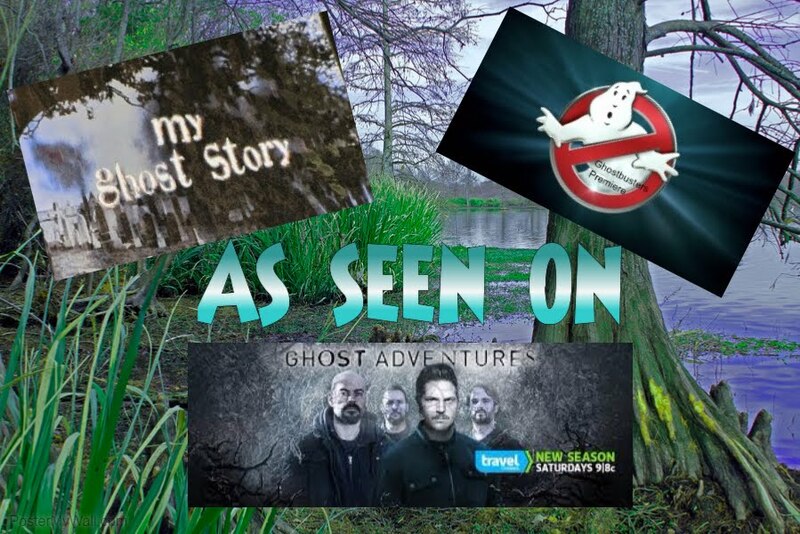 Here's the fun part......are you ready.....I am headed to Chicago this weekend to spend a few days with my good friend Michele of Whitedog Paranormal. We are going to investigate a haunted cemetery and an abandon school!!!!!!!!! HOW COOL IS THAT?????? 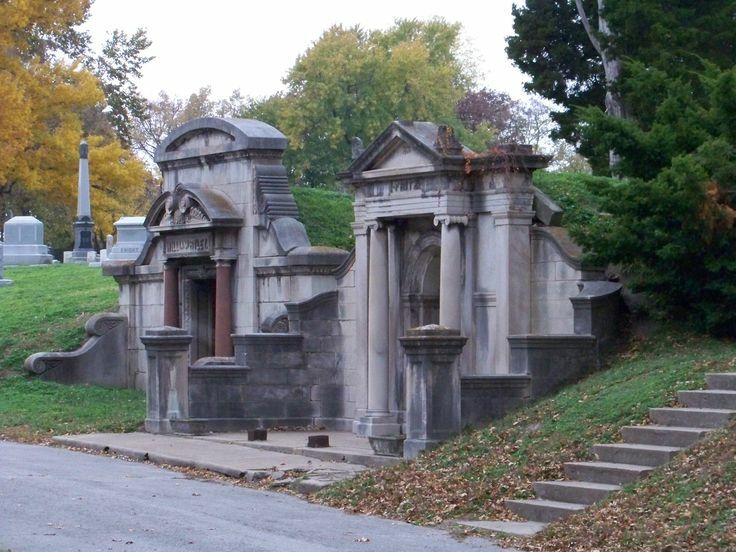 The name of the cemetery is Bluff City Cemetery. And here's the BEST PART......I'm bringing you guys along!!! Ok......I didn't exactly buy you guys a ticket or anything BUT...... I will be "live streaming" on Facebook so you guys can see everything just as we see it!!!! I think we will be investigating next Monday night Oct. 3rd. Be sure to check the "A word from me" section and I will be giving you the exact time and date you can join us!!! I'll be there............ will you??????????????? Over the years, tales of friendly and mischievous ghosts said to frequent the Inn have stimulated the imagination and interest of visitors. Skeptics tend to ignore the idea as superstitious stories. Folklore, legends, stories, all have the same meaning. However here at the Inn many try to prove the existence of ghosts residing at the Inn. There has been suspected of three separate entities that haunt the Inn. Also since the devastating fire, new strange occurrences now exist. As with any old building or family heirloom, many stories of good and bad times can be associated with them. Hauntings of course are more interesting because they almost always are linked to story of great pain, anguish, or death. Pierre is the most famous lingering soul thought to be haunting the Inn. His presence on the second floor has been felt by two known specialists in paranormal activity. His "existence" was discovered in the late 1960s when a famed psychic named Sybil Leek was invited to visit the Inn. Upon touring the building, she claimed she felt the presence of a ghost and said that a burly bearded mountain man of about 35 years of age told her he had been shot while on the second floor of the Inn. He claimed his name was Pierre Devon or Duval. Noted California Ghost researcher, Richard Senate was the second to confirm the existence of Pierre. While he knew of the findings of Sybil Leek, his investigations did not occur until years later, after the fire and rebuilding of the Inn. His accounts were of strong disturbances within the room Pierre was reportedly shot, and cold spots in the stairway. Mr. Senate was there to investigate a claim of a ghost and he was elated to find out it was true. However, many still wonder how the ghost could remain after the original building had been moved, and then destroyed by fire. Was Pierre a real person? Did he die in the old Inn? Is he still there? All questions that were never answered with viable documentation. However, the believers still believe Pierre is there, and he is not going anywhere anytime soon. Within the pictures taken during the fire of 1970, it is said you can see ghostly image of Pierre rising from the flames. The apparition of a woman of days past, dressed in elegant gowns, can be seen from the corner of your eye before dissolving into thin air. The only trace of her brief appearance is the soft scent of her perfume wafting through the halls. These occurrences were very common during the renovation of the Inn from 1953 thru 1965 when the building accommodated an exclusive gift shop known as Tantony. 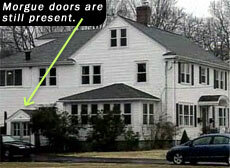 It is claimed that lingering spirits are known to be more active during major changes to the place they reside. Psychics have felt cold spots in the stairway of the Inn...Is it her? Whether the Lady of the Inn survived the Fire of 1970 is still not known. During the 1890's there is said to be the tale of a young visitor of the Inn whom wandered into the wilderness and was never seen again. At the Inn the sound of a young boys voice is said to be heard calling for his family as he continues to try to be reunited with them. On exhibit in the Museum is a cradle with an interesting story. After the Inn was reconstructed, due to the devastating fire of 1970, curators requested donations from the public to help replenish the furnishings. A woman called to donate a family heirloom which she felt would fit into the decor of the Inn perfectly. The cradle had been in her family for many generations, and since she was expecting a child, she had received it as a gift. One day her baby, sleeping in the cradle, starting crying. As she returned to the room to attend the infant she noticed an apparition next to the cradle rocking it gently back and forth. Not knowing whether her child was in danger, obviously frightened for her child's welfare, she donated the cradle to the Stagecoach Inn.